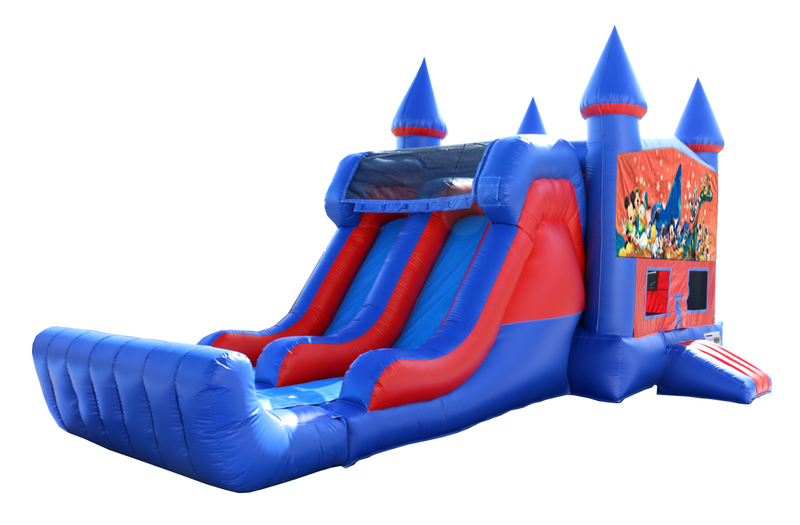 Our Disney Characters 7' double lane dry slide combo features the classic Disney characters we all know and love. Join Mickey, Goofy, Minnie, Donald, Daisy, and even Pluto on their path to fun and adventure! 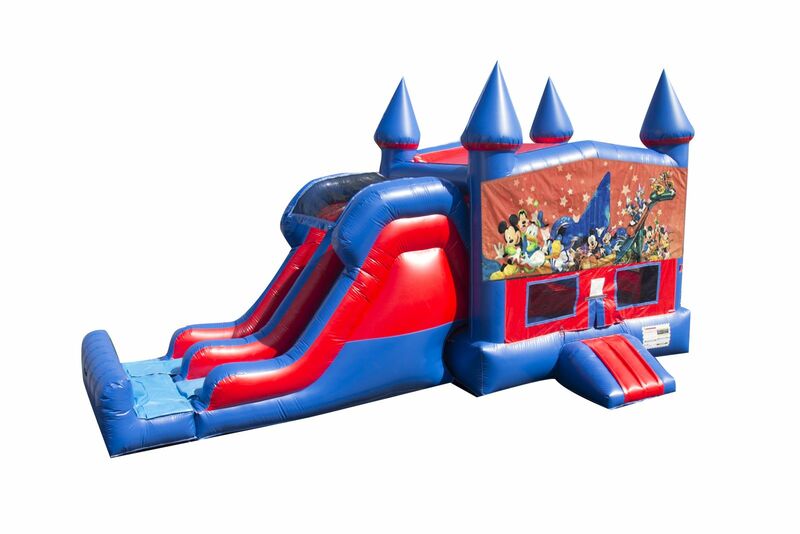 Your guests will love this 7' double lane dry slide combo, which offers roughly 225 square feet of bounce area, a climb area, and an attached 7' double lane slide to keep them playing all day long! Mesh windows allow adults and spectators to see what's going on inside, as well as ventilate the inflatable to keep things cool. A ramp at the entrance/exit allows for safe and easy access to the jump, and a cushioned landing at the end of the slide keeps accidents at bay. Got Bounce? The Bouncing Buddies Disney Characters 7' Double Lane Dry Slide With Bounce House is great for family entertainment, providing the most popular form of amusement for children. Bouncing also puts you in a state of health and fitness, improves your sense of balance, creates an aerobic effect for your heart, strengthens your muscles, and increases the capacity for respiration, resulting in better mental performance!